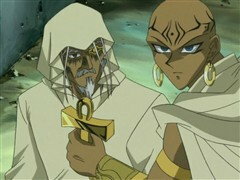 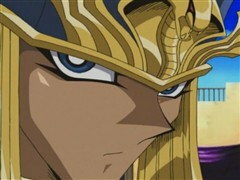 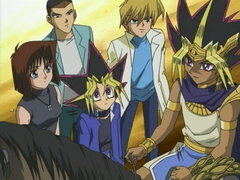 Mahad was the Pharaoh’s most trusted guardian and his best friend. 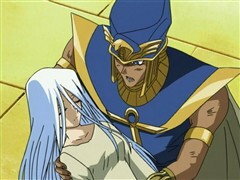 He taught his student Mana various spellcaster abilities, though the results were less than expected. 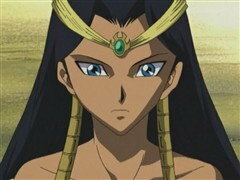 Mahad was such an incredible magician that he sealed his own power – with one exception. 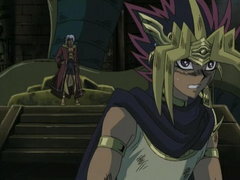 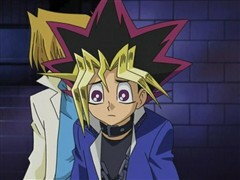 Mahad used all his power against Bandit Bakura to try to end his threat once and for all. 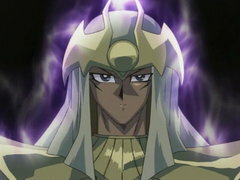 Though Mahad lost, his love for the Pharaoh never wavered, and instead of moving to the great beyond, he returned as Dark Magician.